The people of Tory delight in expressing themselves in music, song and dance. 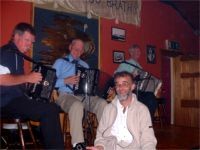 Tory boasts many accomplished melodeon players. 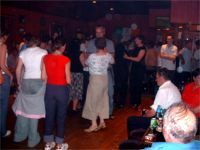 Céilís are held regularly in Club na Maighdine Mara and young and old alike take to the floor to dance not only the great Irish sets and reels, Ionsaí na hlnse, Ballai Luimnigh and Cor Seisear Déag, but also dances which are not very well known outside Donegal. 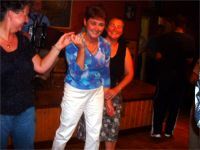 There are many excellent singers on the island who give fine renditions of traditional songs and ballads. 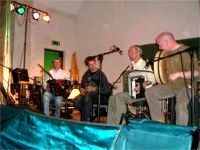 Musicians are always welcome in Tory.